A Limited edition, first print hardback of LIGHT MY FIRE by Ian Chillcott and published by Freebird Publishing in 2008. The book is in very good condition (Clean maroon cloth boards with gilt lettering on the spine), with minor wear to the pictorial dust jacket which is not price clipped (a small piece missing from the top edge near the spine corner at the back, light creasing to the edges). Internally, the pages are clean and tight and there are no tears and no inscriptions. Ian Chillcott has spent most of his adult life serving in the Airborne Forces, leaving in 2000 after 22 years of service. In that time he was able to satisfy his love of fishing, casting a bait wherever work took him during his time in the Army. But carp fishing was always his first love and he now not only writes regularly about this in a number of magazines, but is also a Consultant for Fox International and Mainline Baits. In 2006, his definitive work on carp fishing, Tackling Carp, was published to wide acclaim. He lives in Aldershot with his wife, Lynn Marie, his Dodge pickup truck, Dixie and their much loved Harley Davidson, Gracie. "There is so much more to carp fishing than just catching carp. There’s life as well, and everything it throws at us. 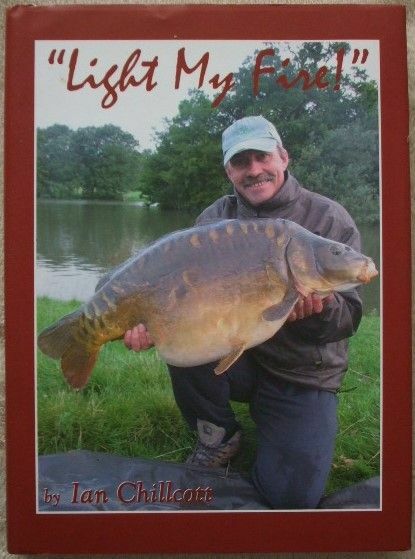 In this book, Chilly lays bare all that life has thrown at him whilst, through it all, carp fishing has been the thread that binds it all together. And that thread is made up of many things, especially the friendships that are forged in pursuit of our obsession. Chilly takes us through desperate lows and massive highs but, in the end, the highs seriously outweigh the lows! We hope you enjoy the ride." 435 pages. Illustrated with colour photographs within the text.